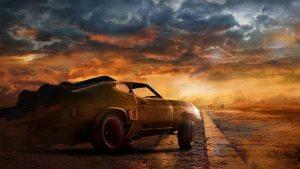 Warner Bros. Interactive Entertainment and Avalanche Studios have debuted a new story trailer for the upcoming Mad Max video game. In the open world, third-person action game, we play the lone warrior in a savage post-apocalyptic world called The Wasteland where cars are the key to survival. Using brutal on-ground and vehicular combat against vicious gangs. Hopefully there will be less Furiosas and more Maxes. The game debuts on Xbox One, PlayStation 4 and PC on September 1st.